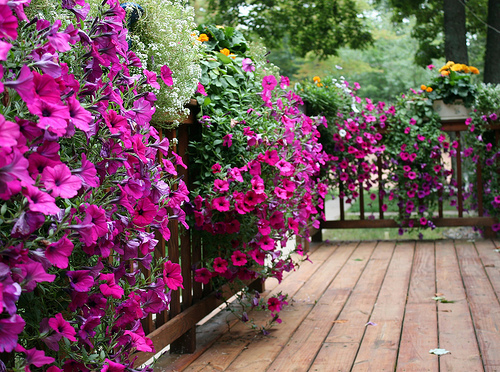 During the summer I love to have petunias on my front porch. I'm generally a sucker for red, white and blue... because we are The White House. But, really, even a mix of flowers that includes petunias should be there. I think it goes back to my Mom doing the same thing. 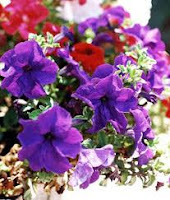 Every summer growing up we would have pots of petunias out front and the walk would be lined with their bursts of color. This summer, due to busyness and life in general, I didn't get mine into their pots until 4th of July weekend. And even after that I wasn't too diligent about their pruning. See, the thing with petunias (okay, any flower, but stick with me here) is that you plant them, and then prune them down to about half of what they came from the store as... or more. You can't take off too much, or they won't make it. But you need to take off a significant amount so the water will go to strengthen their roots. This also allows for other shoots to come off of where you prune them, producing fullness and more flowers. If you don't do it, they'll become one long leggy stalk, usually with only one flower on the end, shooting straight up and then falling over because they're so tall and out of proportion. That's the sign of a neglected petunia. So, I got them in their pots and pruned them back... and then life filled in again. Generally, you should go out every few days and snap off the heads where the flowers have lived their lives and shriveled up. Once again, this lets new shoots grow and doesn't send nutrients to stalks that aren't growing flowers. I stopped doing that. I did the initial prune, but didn't keep up with the maintenance. The other day I realized how leggy my petunias were getting. Yes, there were some flowers... but they were not full and fluffy and healthy like they should be. They were still growing, but it was all in one direction, and the were getting so long that they were falling over! They were laying on the dirt, which was causing their leaves to rot, and they looked quite anemic. "What the heck?" I thought. "Hey, I planted you guys! I pruned you. I fed you. I watered you (okay, maybe not as often as you wanted, but I did). What's going on?" Then I realized the problem wasn't with them, it was with me. I had grown neglectful. I hadn't been doing the maintenance pruning. So, this morning I went out and pruned my petunias again. I pinched off all the old, dead blossoms and trimmed those leggy stalks back so new ones will branch out. In about a week we'll start to the see the results, and my front porch will be the better for it. I know flower and garden talks are cliche illustrations, but the point remains true. So often we look at our circumstances and think, "Will I ever feel settled? Will things ever be smooth? Why do I feel pinched and pulled all the time?" Yes, the issues in life can be constant... but I'm realizing that the One who tends my growth cares so much for me that He is constantly pruning, always trimming. He wants me to live the fullest and most beautiful life possible!!! But, unlike the petunias on my front porch, we have a say in our pruning. "Ouch, God! I don't like this! I'm going to lean away and not let You touch my life for a while." Then we become out of balance, often growing too far in one direction and falling over from the weight of our skewed life. We think it's easier, more comfortable without the pruning... but the reality is we wind up not looking very nice to those around us. Instead of full color and many blossoms, we're barely able to squeak out one blossom on the end of our lopsided stem. I want to be thankful that my Creator cares so much for me that He's always trimming away the dead stuff, pruning the areas of my life so they don't get out of balance. Sometimes he pinches off a long stem that I thought was fine, but obviously needed to go. Other times He's simply pulling off a blossom that has lived its life, run its course. I want to stay submitted to that, even if it gets uncomfortable at times!!! 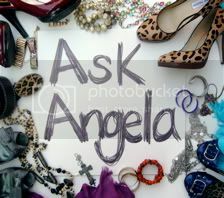 I also want to stay attentive to my children, and follow God's leading to be diligent with pruning in their lives. That's my God-given responsibility as a parent. Not to say that Nate and I get this right all the time, because we're imperfect parents just like everyone else on this planet. When we realize our kids are starting to become too out of proportion or falling over, the problem isn't usually with them... it's because we've not been diligent with their pruning. BUT, we've found that when we keep ourselves submitted to the pruning of our Creator, we're better at having wisdom with the pruning of our children. And our family winds up fuller and more beautiful for it. The great thing about pruning is you can always do it. Of course, the longer you wait the more there is to prune, and the more painful and time consuming it becomes. And no matter how long it's been, you'll be better off for it.